Serving Highlands Ranch, Centennial CO, & Surrounding Denver Metro Areas. Has your washer stopped spinning or are you experiencing a leak? Is your dryer not working effectively for your family? Alpha Appliance specializes in both washer and dryer repairs with same day service and a free diagnostic/service call with your repair. Our fully licensed and bonded technicians arrive with fully stocked trucks, ensuring that most parts will be on-site with most repairs done in-home. 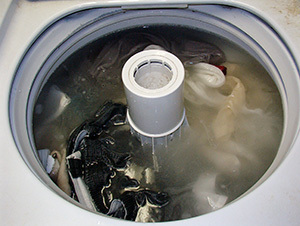 If you're using a new front loading washer, leave the door open for an hour or two after a wash. Newer washing machines are designed to be air tight and water will not evaporate with the door shut. Make sure the clothes are coming out of the washer spin cycle damp dry. If the washer is not spinning the clothes damp dry, the dryer will not dry the clothes in a normal amount of time. Turning your clothes inside out and using the delicate cycle can reduce the pilling effect on certain fabrics. Cleaning the dryer filter before each load increases the efficiency of the machine and decreases the chance of fire. Keep an eye on your dryer and perform routine maintenance regularly. Dryers expose flammable materials to heat. Clean the lint from your dryer after every cycle for safety and energy efficiency. 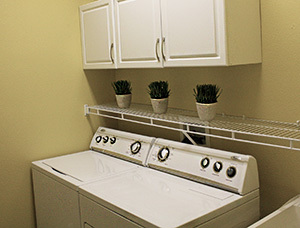 Provide adequate ventilation around your dryer.